While working on a Windows PC—generally—we never think or care about various types of services that constantly run in the background. Some of these services (processes) are absolutely necessary to power the important features and functions we use on a daily basis. But, some of these background services are either never used or are rarely used by us. Naturally, these unnecessary services take system resources to run and function—continuously. This guide is aimed at identifying these unnecessary services which can be disabled altogether after scrutinizing each one of them. Though I've shortlisted such services, the exact pool of services that needs to be disabled on your PC entirely depends on your requirements. If you think a specific service is mandatory for your daily work, skip it altogether. Some of these services may be available only on a Windows 10 Pro edition. Always take a note of services you're going to disable. 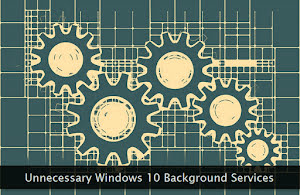 Let's get started and find out all the unnecessary background services running on our Windows PC. If you're obsessed with installing and testing new applications on your Windows PC, you're adding more bloat to the registry whenever you remove the unused ones through the default application uninstaller. Gradually, these orphaned and unnecessary entries in the Windows registry make it bulky and at times contribute in significantly slowing down the computer. The best remedy to this problem is to regularly prune and weed out such orphaned entries from the registry. And, for that, one needs a specialized registry cleaning application. That's what we're going to check today. I've curated a list of some of the best Windows registry cleaners. You can use these registry cleaners—once a month—to keep the same in a healthy condition. 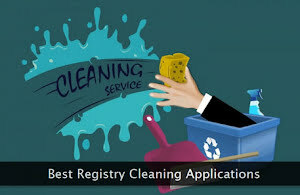 The frequency of the registry cleaning exercise can be changed as per your exact requirements. Some of the registry cleaning applications—mentioned below—comes equipped with extra PC optimization tools. Feel free to test and compare each of these registry cleaning tools on your PC. Images are one of the prominent content forms consumed widely on the internet. Correctly using images on a website is a vast subject and requires great attention to please both the visitors and the search engines. No matter which CMS you're using to power your website—sooner or later—you're bound to face few image-related issues (big or small) which may affect your content creation routine. One such issue is related to self-hosted WordPress blogs. It's the creation of multiple images of different sizes created from the originally uploaded image. Sometimes, bloggers just want to use the original one instead of serving the resized version to the visitors. The following tutorial will help you in disabling the default multiple image-creation behavior of WordPress. If you're using very large images for your blog posts, I'll recommend sticking with the default setup. I'll also advise you to take a backup of your blog before applying the steps mentioned below. Let's get started to reclaim our originally uploaded images. Whether you're running Windows 10 on latest hardware or using legacy hardware configuration for the same, there's always a scope of speeding up the operating system. Some of the speed optimization techniques involve tweaking of various system settings while others require a switch to a better and modern hardware device. Almost every optimization step discussed below can be rolled back if required. In case, you're reluctant about implementing the speed optimization techniques, create a restore point for added safety. Several optimization steps mentioned here are also applicable to the older versions of Windows. You'll see a noticeable difference in the speed after applying the optimization steps. 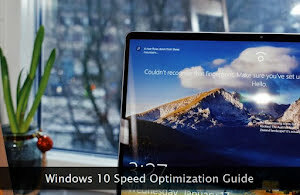 I've tested all the speed optimization techniques on a Windows 10 Pro copy. Home edition users can repeat the same steps on their PCs too. If you're running the Windows 10 copy on a high-end computer, application of these optimization steps will make your working experience—a flyer. Let's speed up PC—right now! Whether you're looking to build a personal website or want to build a simple portfolio, GitHub Pages is one of the good options for the same. You don't need an expensive paid hosting platform to build such a kind of website. The following step-by-step tutorial with help you build a simple personal website which can be further extended, enhanced or improved as per your requirements. All you need is an active GitHub account with basic CSS and HTML skills. Beforehand knowledge of Markdown syntax will be icing on the cake. Though deep knowledge of Git is not a mandatory requirement, familiarity with its basics can certainly help. In case, you are looking to build a full-fledged business website, I'll strongly suggest looking for other options. 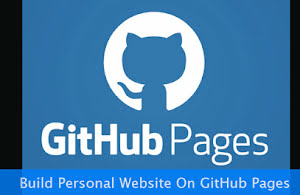 GitHub Pages platform is free to use and gives liberal bandwidth covering the needs of almost 99% personal websites. It's best suited for freelancers and professionals. Let's not wait further and make a sparkling new personal website on the flexible GitHub Pages platform. Google's Feedburner service is used millions of websites specifically the ones hosted on Google's Blogger platform. If you're using this very service to deliver post updates to your readers, I'm sure you're using the default Feedburner address for your blog's RSS feed. If you're obsessed with branding every aspect of your website, you can brand your Feedburner feed address too. It's a feature normally not used by the majority of users because most of them are not aware of its existence. When I'm talking about branding, I'm assuming that you're already using a custom domain for your website. The entire branding process requires access to your domain management dashboard where you can add host records. Readers who prefer to consume content via feed readers will find your branded feed address much more appealing and attractive. The guide presented below is quite easy-to-follow and can be completed in a few minutes. 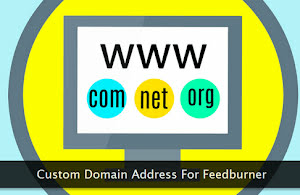 Let's get started and create a brand new custom Feedburner feed address for our website. Here we go! 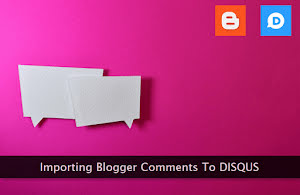 If you're planning to use the powerful and feature-packed Disqus comment system on your Blogger blog, this tutorial can help you save your existing comments before making the switch. The comment import process is optional and one can skip it altogether. The entire import process is quite simple provided all the required settings are in the correct state. And, that's what we're going to learn in the following sections. If your Blogger comment archive is extremely huge, the import process may take a considerable time. Though your comments remain intact during the import process, there's no harm first taking a backup. You can import the comments any time of the day because it doesn't affect the live traffic in any way. I've imported up to 4,500 comments for a single blog in one go—without any issues. And, you can start the import process even before integrating Disqus on the blog. Let's get started and learn to import Blogger comments into our Disqus account in a few easy steps. Your readers will love the Disqus system. Contrary to the popular belief, landing page customization and testing is not limited to eCommerce or business websites. If you're running a niche blog, testing of the homepage and other key pages can help you come up with a better design and a better copy to get more engagement with the visitors. Though there are dozens of different software solutions to test web pages for better conversions, the basic principles for the same are more or less the same—in every case. In this comprehensive tutorial, we're going to use free and powerful Google Optimize platform to learn the basic process of landing page testing. Here I must stress that no matter how big test data you accumulate unless you don't know how to gain insights and act upon that data, the whole exercise is—fruitless. Well, of course, we'll discuss this part too. If you're doing it for the first time, the optimization results may not be as per your expectations as it is a gradual learning process. 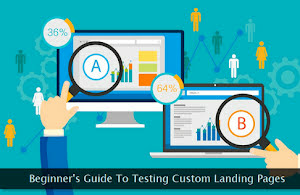 Let's get started and master landing page testing and optimization. Millions of blogs are powered by Google's Blogger platform. The very first thing a visitor pay attention to while visiting a blog is its design or template. A good custom-designed theme has the power to retain the visitors for a longer period of times. Today, we're going to learn to code a custom Blogger template. Our emphasis and focus will be primarily on the core template design concepts rather than going for a fancy design. This way, you'll be able to create different types of templates with unique designs. If you're already familiar with basic HTML and CSS, you can take your design to the next level—quite easily. I need not say that you have to try out these template designing exercises on a private demo blog. Later on, you can export and import it on the live blog. If you're making such a template for the first time, avoid choosing a complex layout and start with a simpler one to get hold of the basics. 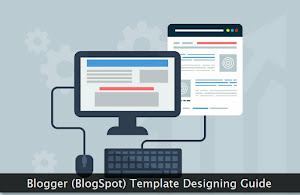 Let's get started and learn to design a custom Blogger template—in a few easy steps—that's fast and free from any bloat. No matter which operating system you're using, file deletion is one of the most common activities done on a daily basis. And sometimes, we delete an important file—inadvertently. Fortunately, there are several ways to recover a deleted file. We going to learn about the same, but specifically for the Linux platform. Almost all of the available solutions mentioned below work directly from the command line. I'll advise to once test these file recovery options through dummy file deletion events. Remember, these utilities will only work if you're triggering the file recovery process, as soon as possible. The more time passes by, the more is the chance that the content of the deleted file gets overwritten by a new file. The best possible scenario is when you never need the file recovering commands. And, for that, you need to delete files in a responsible way. All the file recovery utilities mentioned here are tested on a Ubuntu machine. They should work seamlessly on other distributions as well. Let's recover our deleted files. Though seasoned players advice for a self-hosted WordPress platform, Google's Blogger platform is also an excellent choice for a huge number of bloggers. People often complain about the limited flexibility available on the latter blogging platform. But, this statement is partially correct. There are a lot of hidden Blogger features a general user is unaware of. 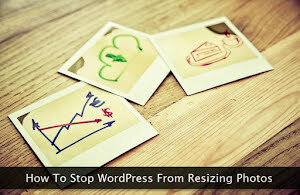 And, one of such powerful and extremely flexible features is how you can customize the images used in the blog posts. Here we are talking about different kinds of optimizations and effects we can apply to the uploaded images. Fortunately, images uploaded on Blogger platform are internally hosted on Google App Engine. The latter platform has powerful image processing capabilities which can be used by Blogger users—quite easily. And, that's what we're going to learn today. Once you get familiar with these image processing options, you can make your blog posts, much better than before. 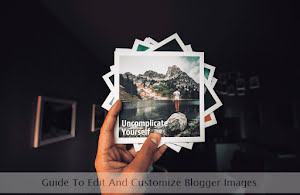 Let's get started and master the Blogger platform's flexible image manipulation techniques. Content writers and web professionals make use of different types of applications—on a daily basis—to get their job done. Office suite application such as a word processor or a spreadsheet program is one such type of application used by every professional. Today, we're going to look at some of the best office productivity applications built for both regular and professional users. Some of these office applications are free while others offer a premium version as well. A good number of these office applications have both the desktop and mobile variants. 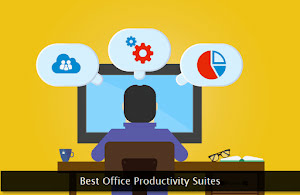 If you think your current office productivity suite is not able to fulfill your needs, look no further and try out some of the alternatives from the handpicked options mentioned below. Both cloud-based and desktop solutions are included in the list. I'll suggest trying several applications before making a final decision to make sure the selected office suite meets your business needs. Let's get started and quickly check out some of the best office productivity applications. If you're just starting out with Linux, getting familiar with the environment and file structure should be your top priority. And, to do that, one must learn (without any fail) about all the important files and directories powering this developer-friendly operating system. 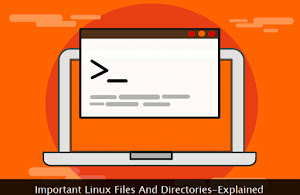 Although, as a general user, working in a Linux GUI environment is pretty straightforward, making yourself aware of the critical directories and files can help you get more out of your working sessions. Linux has dozens of distributions but the file structure and organization is almost identical on all of them. So, no matter which Linux flavor you're running, almost all the files and directories discussed below does exist on your system. If you plan to go ahead as a Linux system administrator in future, grabbing knowledge about these important files is absolutely essential. Remember, do not try to tinker with critical system files especially when you're using the system with root privileges, else it may corrupt your Linux installation. Let's get started, now! 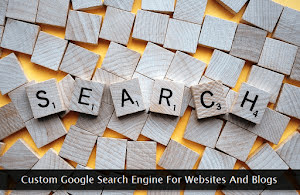 Although every popular CMS inherently supports an internal search engine, it cannot match the power of a custom search engine (created by search giants like Google), when it comes to finding contextually-related content. Today, we're going to learn the integration of a custom Google search engine on our websites for all the internal site searches. It can be integrated both on a static HTML site as well as on a website powered by a content management system. We'll learn about all of its important customization options to get more out of it in every possible way. Basic knowledge of HTML and CSS is all you need to easily integrate this custom search engine within your website. We'll also learn to monetize the search engine and to connect it with our Google Analytics account. If your website is brand new, I'll recommend waiting for some time before integrating this custom search engine on your site. Let's get started and learn to integrate a powerful, customizable, and user-friendly internal search engine for our site visitors.